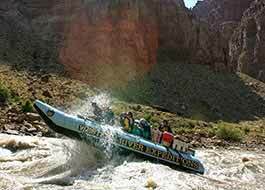 Canyonlands National Park Tours are much more "involved" than in Arches. Canyonlands National Park is vast and divided into four districts, each slightly different: Needles District, Maze District, Island in the Sky District, and Rivers District. Understanding the up-side-down geography of Canyonlands from the overlook at Mesa Arch or Grand View Point is only a tease - a beautiful tease. You will instantly want to know and understand more about this alluring beauty. 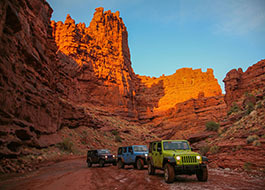 4x4 Jeep tours will take you on some of the overland routes amongst the colossal cliffs and towers, and hiking can get you lost a little slower. Slicing past each district, in a much more linear (albeit winding) path is the Colorado River, met by the Green River at the head of Cataract Canyon. 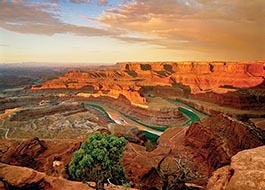 This is the heart of the Rivers District, and of Canyonlands itself. 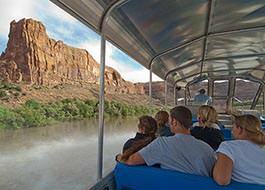 It's time to learn more about our Canyonlands National Park Tours!